This past weekend millions around the globe tuned in to watch Prince Harry marry Meaghan Markle. The observant watcher would have noticed something different – an empty seat, to the right of Prince William. Prince Harry and his bride ensured that Lady Diana was not absent from the ceremony. The empty seat recognized her physical absence from the event, but rest assured, she was in the hearts and minds of many. 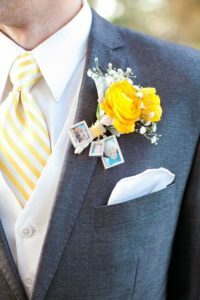 The bride and groom paid tribute to his late mother in several ways: the flowers from her garden were tucked into the bride’s bouquet; bouquets of wedding flowers were forwarded to a local hospice, and donations made to charity. They also chose to include the hymn “Guide Me O Thou Great Redeemer” which was also sung at Lady Diana’s funeral. Some families mark the holidays, birthdays or other occasions by keeping an empty chair at the table and ensuring that the place setting is complete. We certainly know our thoughts are on the individual missing from such days. 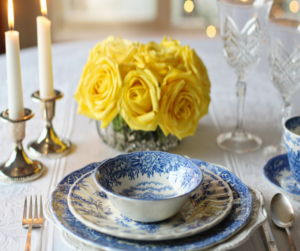 Some ways you might remember the deceased, would be to place their picture on the table, serve their favourite dish and reminisce about their usual habits during these special holidays. Did anyone else have a grandmother who allowed dessert before dinner? 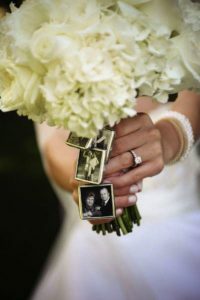 As the traditional wedding season approaches, couples are looking for meaningful ways to remember and honour the deceased. Please consider the following list as a guide. 1. Leave an empty seat to represent those who cannot be physically present. You can mark this special seat with a flower, place card, or other symbolic item. 2. Include their favourite flowers in your bouquet/boutonnière. 3. Carry or wear their picture. 5. Create a memory table – photos, sentimental items, favourite treat. 6. Wear a special piece of jewelry: pearls, cufflinks etc. 7. Share forget-me-not seeds as favours for the guests. 8. In lieu of favours, make a donation to their favourite charity. 9. Include one of their favourite poems or songs in the service or observe a moment of silence. 10. Honour their memory with a special statement in the service bulletin.